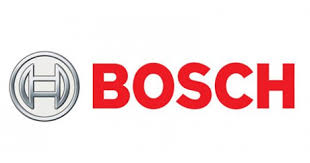 Irfan Ali is heading the Robotics Process Automation at Bosch Service Solutions. As a part of this global role, he manages the RPA Centres at India & Spain, and is evangelizing, steering & co-developing centrally the Intelligent Automation roadmap for Bosch teams and various external customers. Since 2016, he has successfully deployed Global Robotic farm engagements across various Bosch entities, and a multitude of ERP systems & IT Applications. He was pivotal in positioning Robert Bosch GmbH to win the SSON Excellence award 2016 for Robotics in November 2016. Also, Bosch Service Solutions being named in the top 10 “RPA Pinnacle Enterprise” by the EVEREST – for their focus on outcomes and RPA capability maturity. 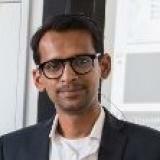 In the endeavour to building the RPAC and the digital workforce, he has engaged in successfully developing Automation Lifecycle frameworks (DAO), evaluating the Technology Partner ecosystem, creating Automation Business cases and more importantly, developing and deploying Change Management initiatives – to ensure successful RPA implementations. Watch Irfan Ali, Robotics Process Automation Head at Bosch Service Solutions, as he provides a view of how Bosch Service Solutions is industrializing RPA. You'll have a practical view of their RPA journey, how they are addressing the key critical factors and a revealing look at RPA's future at Bosch Service Solutions. Check out the incredible speaker line-up to see who will be joining Irfan.